Parents of seriously cool kids, listen up: leave the princessey, football-laden bed sets in the shops. If you want to get something that'll hit the note, go for this Scandi-inspired collection. The monochrome pattern gives it a fashionable, slightly rebellious edge (but not too much, mind). Enough to still be loved once they reach their teens, and look sophisticated in your home setting. 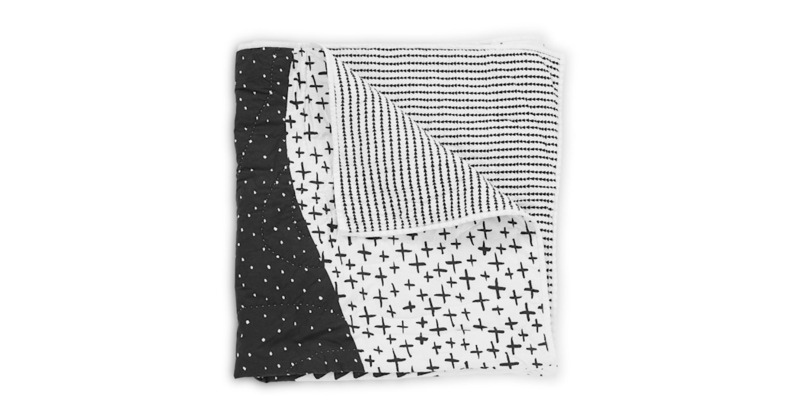 The quilted throw is reversible, so pattern boredom won’t be an issue. One side has series of arty prints, the other has mini triangles – both sides edged with a cotton trim.